A great gift for the groom or the groomsmen, these two sets of cufflinks by Tileworks made exclusively for The Platinum House in Newport’s Brick Market Place capture Newport style. 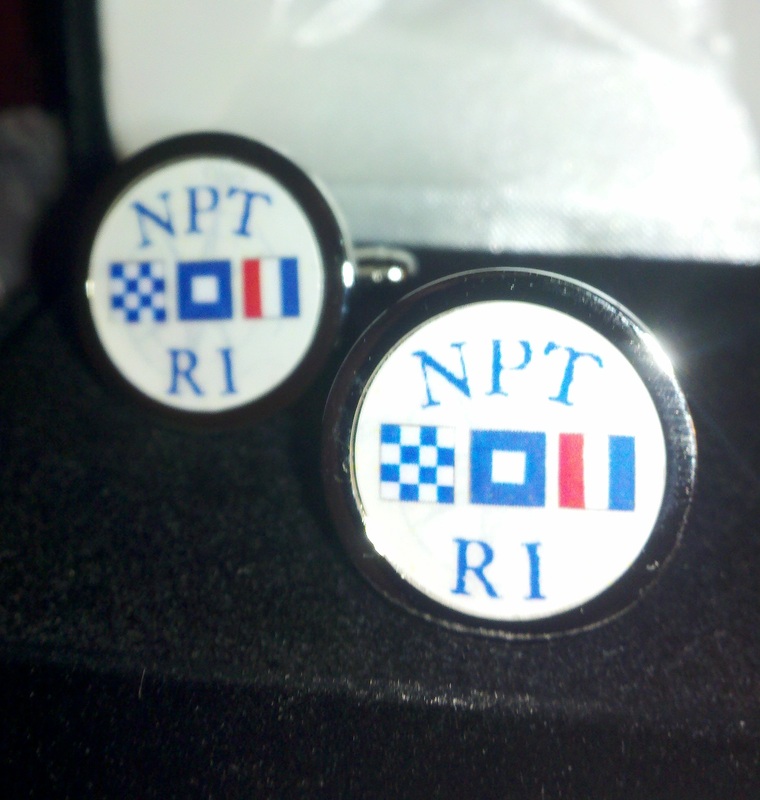 The first features nautical signal flags symbolizing N-P-T, and the second with a colorful map of Newport. The City-by-the-Sea’s newest bridal boutique, Andrea Bird Bride, opens this weekend featuring gorgeous, all made in the USA gowns and stunning accessories. Owner Andrea Sperl gave me a sneak peek of the stunning shop and these amazing headbands, veils, and crystal sashes are stunning! Newport is all about nautical style and these bracelets by Bellevue Collection, an online flash sale site based in Newport, certainly will give the coastal touch to a bridal party. The starfish cuff is one of Bellevue Collection’s most coveted pieces, adding a decidedly eye-catching bit of bling, while the more subtle starfish link bracelet is a more dainty approach. Angela Moore and Newport have long been synonymous, and Moore’s handpainted Newport Mansion’s gardens set celebrates the colorful style of Rosecliff (where you can get married! ), Marble House and Green Animals Topiary Garden. The beaded necklace and bracelet, whether worn individually or as set, make for a perfect bridal party gift to commemorate an unforgettable Newport wedding. Any bride would love this spacious tote from Chace N’Lulu on Newport’s Bowen’s Wharf as it’ll fit all of her wedding-weekend must-haves! 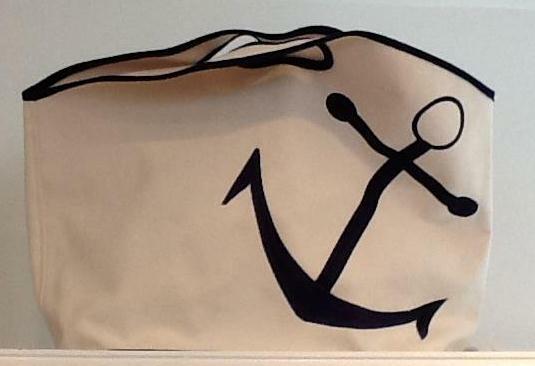 An amazing shower gift for the bride to be, this tote features Newport embroidered on one side and an anchor on the other. 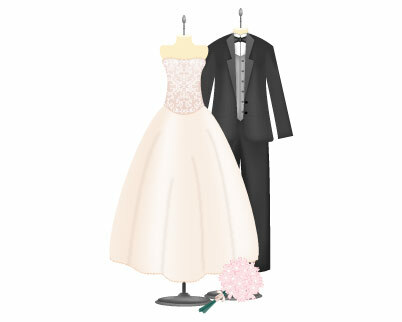 The bag can be customized in all different ways—with monograms, names, wedding date and more. This embossed Crane’s ecru note card set from Papers on Bellevue Avenue features an initial or monogram is a timeless classic. If Crane’s was good enough for Newport’s most famous bride, Jackie Kennedy, it’s good enough for your bridal party, the mother of the bride or your new mother in law. 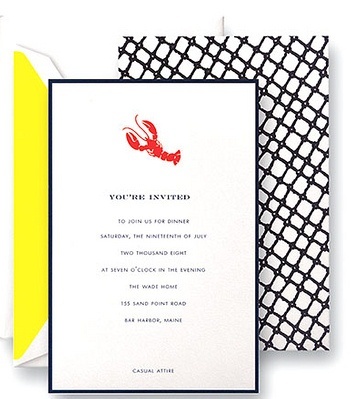 Save-the-dates, rehearsal dinners, after-parties and morning-after brunches are made Newport-centric with custom maps, compass roses, anchors, scallop shells, starfish and other coastal motifs. Entry filed under: Uncategorized. Tags: Andria Bird bride, Andria Bird Bride Newport ri, Andria Bird crystal sashes, Andria Bird headbands, Andria Bird veils, Angela Moore, Angela Moore beaded jewelry, Angela Moore Newport Mansion's gardens set, Angela Moore Newport ri, Angela Moore Palm Beach, Angela Moore sale, Bellevue Collection, Bellevue Collection flash sales, Bellevue Collection Newport rhode island, Bellevue Collection Newport ri, Bellevue Collection starfish cuff, City-by-the-Sea, Crane’s paper rhode island, Green Animals Topiary Garden Newport ri, groomsmen gifts ri cufflinks, Marble House Newport ri, Newport RI cufflinks, Newport stylephile, Newport tote from Chace N’Lulu, Newport's Bowen's Wharf, Newport's Brick Market Place, papers newport rhode island, rhode island cufflinks, Rosecliff Newport ri, starfish, The Platinum House Newport ri, The Rhode Show, Tileworks cufflinks, wedding invitations Newport ri, weddings anchors, weddings coastal motifs, weddings compass roses, weddings custom maps, weddings scallop shells.